When we Armitages travel, we climb things–towers, monuments, mountains, cathedrals, arches– we generally go up for the purpose of looking down. We are never disappointed. We weren’t disappointed in Milan. But the Milan Cathedral rooftop is different. The rooftop itself is an amazing place to be. It would be an amazing place were it on the ground floor. 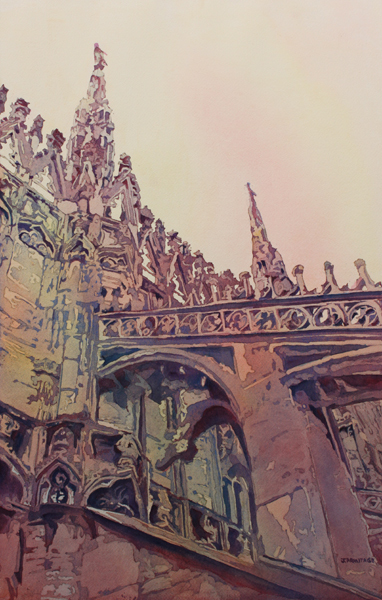 Here is my first painting of the marble forest that lives atop the Milan Duomo. This painting may be purchased through the Watercolor Society of Oregon Spring 2015 show. Or purchase a fine art print. 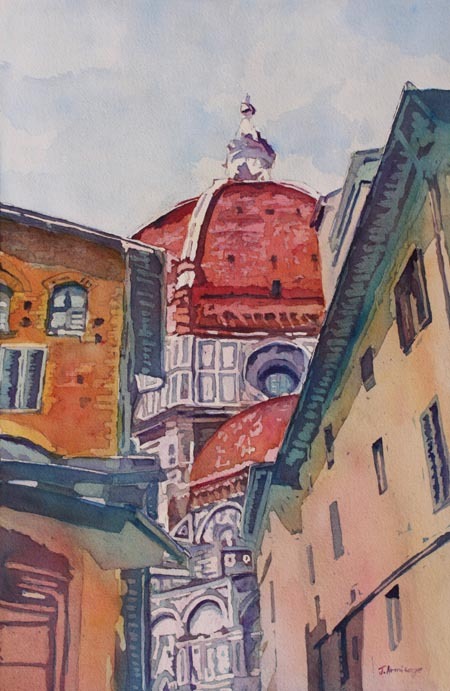 A colorful back alley view of the Duomo, Florence, Italy. Old town Florence streets are shaded lanes so narrow they almost feel like tunnels running at irregular angles to each other. The view at the end of the tunnel is often as not another narrow lane cutting the street off at not quite a right angle. But here there the streets open into plazas with startling sunny views of churches, cathedrals, bridges, train stations and castles. 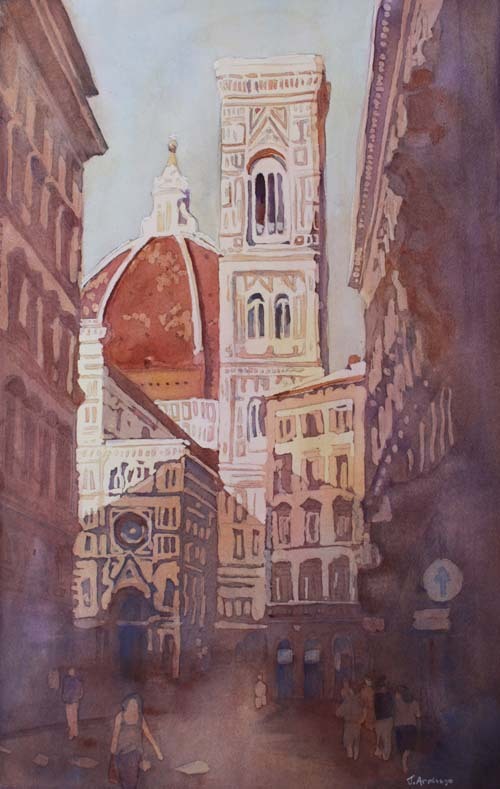 Walking from our apartment, the Duomo complex burst upon us in much the same way–the light at the end of the tunnel. Another poured watercolor painting, a process much like batik. This painting is reserved for a show but you may purchase a fine art print.